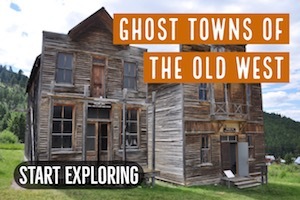 Many of the most productive gold districts throughout the West have little to no water. This can be a very challenging environment to search for gold. 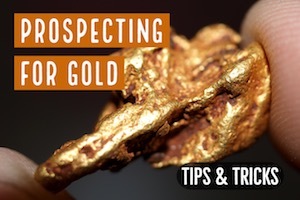 Many of the richest gold districts in Arizona, New Mexico, Nevada, and Southern California require special prospecting methods in order to find gold. Most types of mining equipment use water to separate out the gold from other materials, but in these arid environments, there are only a few ways that gold can efficiently be recovered. 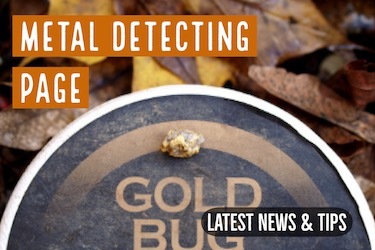 The two most popular methods of finding gold here are by metal detecting and drywashing. In this article, we will be discussing drywashers, and how to use them properly to recover gold. At first glance, a drywasher seems somewhat similar to the traditional highbanker that is commonly used by placer miners. Material is shoveled into the head of the unit, and it works its way over a set of riffles, which capture and retain gold while allowing lighter material to continue over the top and be discharged. Both types of equipment use gravity to allow gold to settle down and become captured, but with a drywasher it is a combination of air and vibrations instead of water that allows for this to happen. To set up a drywasher, the prospector must first locate the area that you want to start digging. You don’t want to have to transport material a long distance from where you dig it to the drywasher. Ideally, you will have it set up close enough that you can shovel directly into it. Once a potentially rich area is identified, the drywasher needs to be set up and stabilized. This is an important step; you are either going to be shoveling dirt and gravel directly into the head of the drywasher, or dumping material into it from a 5-gallon bucket. Either way, you want the drywasher to be nice and stable. The design of the drywasher itself is actually quite ingenious. Power is generated either by hand cranking or by an external power source such as a battery or generator. Air is puffed up from below a concentration tray, where gold and heavy minerals can accumulate. The light material is puffed up and continues down the tray and out the bottom, while the gold remains. Additional vibrations from the active bellows provide additional vibrations which also aids in the agitation of the materials. One very important consideration when using a drywasher is the need for the material that you are running to be completely dry. Drywashers will perform very poorly in areas that have any amount of moisture in the soil. Even in extremely dry environments, it is critical that the soil be completely dry before it is run through the drywasher. 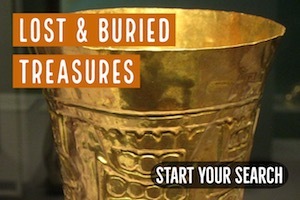 This is because moisture will cause dirt to clump together, capturing gold and allowing it to be lost. One way to prevent this from happening is to shovel out the material that you want to run through the drywasher and let it dry out in direct sunlight for a day. Even in the hottest desert environments, soils that are a few feet deep will have some moisture in them. 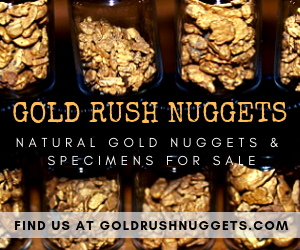 A day in direct sunlight will completely dry it out, allowing for maximum efficiency and retention of gold. 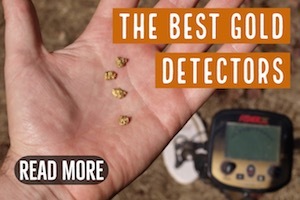 A good quality gold detector is also very handy to keep around when you are drywashing. The grizzly at the head of the unit will filter out the larger gravels and rocks, and could potentially reject a nice nugget. Plus as discussed earlier, potential loss of gold over the riffles in the tray means that gold could be lost and sitting below in the waste piles. A quick scan of your waste material with a metal detector before discarding it is always a smart idea. The dry separation method is not as efficient as those that use water. Even under the best of conditions, a drywasher will have losses, much more than standard placer methods such as sluicing, highbanking, and suction dredging. Whenever possible, using these traditional placer mining methods is ideal, but in the dry deserts of the Southwest this is generally not an option. This is why the drywasher is king in this type of dry environment.